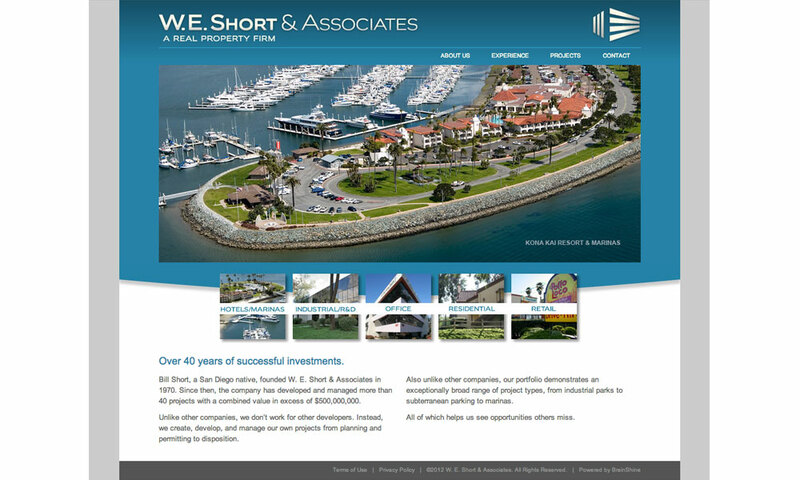 Bill Short is a legend in commercial and residential real estate having developed over 40 properties in San Diego since 1970. His early projects focused on rehabilitating apartments in La Jolla, CA. From that start in residential rental properties, he quickly expanded to seize other opportunities in the commercial and retail sectors throughout Southern California, including both rehabilitation and new construction. 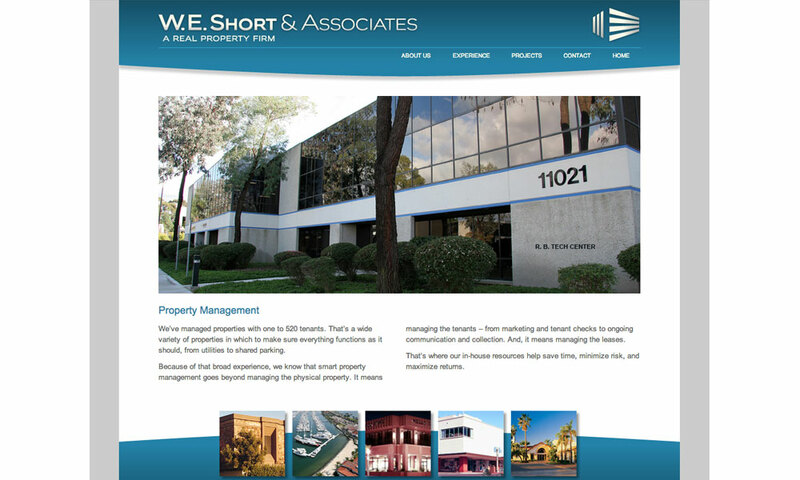 The W. E. Short & Associates website was built to showcase some of Short’s prominent buildings and feature their involvement from construction and management to entitlement with a dash of philosophy thrown in. 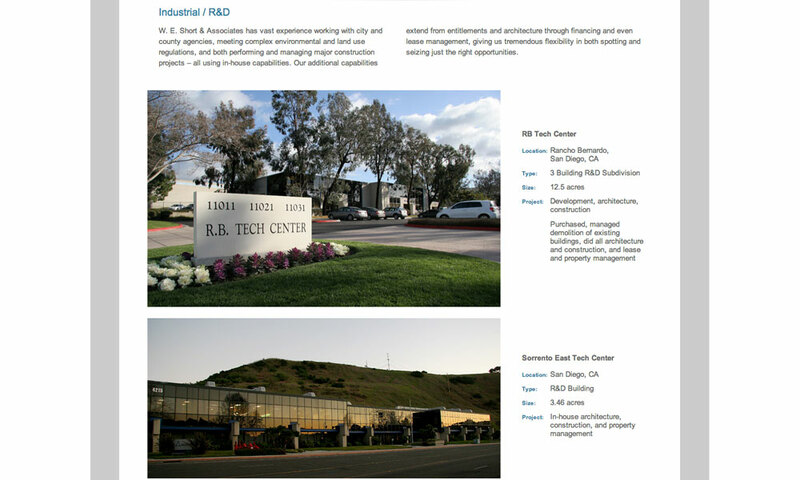 BrainShine provided all new photography and area maps, logo redesign and copywriting support in the creation of this site.